I’ve been playing around with a new view on Biblical inerrancy this past month. Though the view was inspired by Powers Trilogy by Walter Wink (see my list of Best Christian Books), the view itself comes out of my own twisted mind. I am writing this post for two reasons. I want your input on the theory, and I also want to know if anybody has run across anything similar in any book that is out there. If so, I would like to read it. Nothing strange or unorthodox here. I believe that God did lead and human authors to write the words of Scripture, though not in a way that would override their unique thought pattern, vocabulary, or idiom. Nothing strange or unorthodox here, either. Here is where the view gets a little strange. A person who would hold this view believes that while God guided and inspired the human authors to accurately record the events of history, these events do not accurately represent the mind or will of God, but rather what the humans at that time thought was the mind and will of God. To better explain this, let’s use a modern example. It was in the news a while back that a mother drowned her children the bathtub because God told her to do so. Let’s say God was inspiring a person to write a historically accurate record of this event. They might write that the woman heard God say that she should drown her children in the bathtub. God did not actually tell her to do this, but it is nevertheless historically accurate to record that she believed God did tell her this. An inspired and inerrant account of this event would include the idea that God told her to kill her children, even though in reality, God did not. Let’s take a less troubling modern occurrence. Imagine a pastor stands up in front of your church this Sunday, and announces that God told him that everybody needs to read the Bible more and get rid of sin in their lives. Now, if God inspired a blogger to accurately record this event, they would report that the pastor stood up in church on Sunday and announced that God told him to tell everyone else that they should read their Bibles and get rid of sin in their lives. Right? That would be an inspired and inerrant account of the event. But is it true? Did God really tell the pastor this? Maybe. But maybe not. How can we know? The truth is, we really can’t. Not for sure. 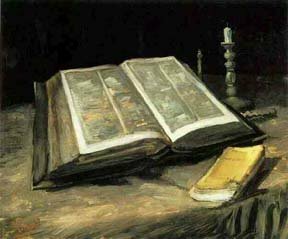 So when we come to the Bible, can it be inspired and inerrant, but not fully true? When we read an account of God “telling” a person that he should lead a group of Israelites to kill all the men, women, children, and animals of a particular town, could it be that this is an inspired and inerrant record of what the people thought God was saying, but He really wasn’t saying this at all? This view has some benefits. We would no longer have to struggle with the wholesale slaughter of entire villages and town at the command of God in the Old Testament. We would no longer have to try to reconcile the character of Jesus with some of the events that happen in the name of God in the Old Testament. Some might use this view to explain away seven-day creationism, and maybe even some of the miraculous events of the Old Testament (though that would be harder, since in this view, Scripture is still an inerrant record of what was said and done in human history). I am not saying this is my view. It is just a view I “invented” this past month, and do not recall ever reading it anywhere in all my studies. I understand that it introduces a very slippery slope of not being able to know for sure if what we are reading in Scripture is an accurate representation of God, or just an accurate account of what some misguided humans thought. Once you begin down this road, our own desire for how we want God to act becomes the arbiter for determining which parts truly represent God, and which parts do not. So I am not saying this is my view… even though I did think it up (which is kind of ironic, when you think about it). I am only writing about it because I want your thoughts about the view (pro and con), and to see if anyone has run across this view anywhere else. I am inclined to agree with biblical errancy. There are definitely passages in the Bible that would be easier to understand if they are simply wrong. I would just have trouble knowing where to stop. How do we decide what is in error and what isn’t? If the heresy hunters are on patrol today, I suspect they’ll have a field day with the post! I don’t know, Sam. I wasn’t too shocked or outraged by what you wrote. I found it refreshing. But then, I guess I’m not really a heresy hunter anymore…. I’m convinced that there is nothing in scripture that we need to water down or consider to be inaccurate in order to better understand the nature of God in both the old and new testament. I’m also confident that God is capable of preserving and passing down an entirely accurate (both historically and contextually) account of what He has said and done in order to bring about His purpose in creation. I admit that this new view is appealing but I must reject it as an attempt to suppress the truth in order to express the truth to those who suppress the truth. In the process we lose the truth and like you said, become lord of the scriptures deciding what does and does not line up wwith our understanding of God. We would do better to let our understanding be shaped by what is written. I like what you said about suppressing the truth to express truth to those who suppress the truth. Catchy! touche, my man. It will continue as long as those without the Spirit of Christ speak as though they speak the oracles of God maybe what we need is not a different view if Biblical inerrancy but better discernment of man’s errancy. Oooh! I like that. More discerning of man’s errancy. Exactly right! I like it. Inspired by the Holy Spirit to think outage the box. I think our worship of scripture can manifest itself as idolatry. 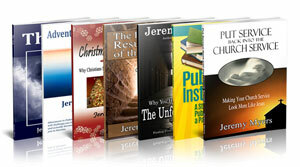 With or without these writings my experience and understanding of God do not change. I get a good chuckle when folks get all red faced and flustered when someone brings something like this to the table. Some fear the very mention of a bible tainted by human inaccuracies. I always question what’s really going in when you bring up a very thoughtful and well-reasoned question concerning status quo and people start running out of the room like they’ve just discovered a gas leak and the place is about to blow. 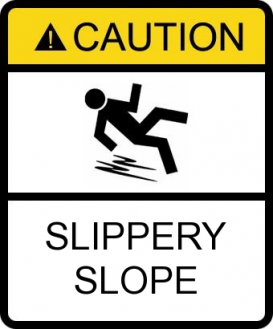 To me, that us usually the sign that I’m on to something interesting that the enemy if my God would rather keep hidden. There is definitely Bible idolatry in many segments of Christianity. I think I was once a Bible idolater. Maybe I still am, but I’m working on it. Regarding the view, I don’t know any more! It is just something I want to think about more. So we’ll see where it goes. I look at the whole Bible as a book that was written FOR us and not TO us. I really like that distinction. Really. I bet you get heat for it, but it would really help do away with a lot of the Bible wars. I’m okayish with this, though not convinced about the historical accuracy of all parts of the Bible. I’m still doing a lot on thinking on this. Interesting thoughts. “Historical accuracy” is a slippery term anyway. Take the events of creation or the story of Jonah or Job for example. Did they “really” happen as recorded, OR are they true and historically accurate “tales” or “myths” from that era? If God was inspiring me to write Scripture, and I included a story from Aesop’s Fables, the story is still true, even though the actual events are not. Anyway, that might not be what you were referring to, but it is helpful to consider. Having said this, I do think that the stories of Jonah and Job did happen…. I read recently that the reason the church canonized certain letters and books is because certain leaders were losing power, control, and authority. Sounds about right. But if they hadn’t done it, would we consider books like “The Gospel of Thomas” accurate today? I could totally see someone running away from God when God told that person to warn their enemies and I could see God saving that person’s life by any means necessary. Even if that means is being swallowed whole by a whale. God does a lot of interesting things. Shutting the mouths of lions for Daniel’s sake, helping 3 guys with hard to pronounce names stay alive in a furnace, the immaculate conception, raising the dead, etc. Wow. What a title. I’m heading over the read that post. I think it is good to explore ideas (even if but briefly) that challenge the status quo just to check ourselves and make sure that we are truly in line with what God has told us. I am definitely more inclined to trust in the scripture than myself. The Bible is recording their statement. Maybe they really didn’t believe this, but said it anyway, in order to discredit Jesus with the people. At any rate, the statement is recorded, but it is not true. Jonah and Hosea were both from Galilee. (interesting connection…Jesus told them he would only give them the sign of Jonah – see http://www.GiantsOfGath.com ). An untrue statement was accurately recorded. There is much of this…i.e. Satan in the garden with Eve, the philosophy and advise of Job’s friends, etc. I am confident that what God preserved IS what God said and that it is not what someone thought God said. Let’s look at the “issue” that you specifically brought up in this blog: The command for the Israelites to kill all of a particular town and reconciling the character of Jesus with events that happened in the name of God in the Old Testament. The strange events recorded in Genesis 6 were understood by the ancient rabbinical sources, as well as the Septuagint translators, as referring to fallen angels procreating weird hybrid offspring with human women-known as the “Nephilim.” So it was also understood by the early church fathers. These bizarre events are also echoed in the legends and myths of every ancient culture upon the earth: the ancient Greeks, the Egyptians, the Hindus, the South Sea Islanders, the American Indians, and virtually all the others. We find that there seems to be some recurrence of those bizarre things which resulted in unusual “giants” appearing in subsequent periods later in the Old Testament narrative, specifically the giant-races of Canaan. These Rephaim, Nephilim, and others seem to have been established as an advance guard to obstruct Israels possession of the Promised Land. Was this also a stratagem of Satan? Since we are having to try “to reconcile the character of Jesus with some of the events that happen in the name of God in the Old Testament” let’s continue considering these events in light of the prophecies of Jesus and a couple of New Testament writers. Is it possible that the UFOs – and their occupants – are part of an end-time scenario? The various metals which make up the image in the dream are well known to serious students of prophecy.9> Even our common expression, “the idol has feet of clay,” comes to us from this classic passage. As he switches to a personal pronoun, they, “shall mingle themselves with the seed of men…” This is extremely suggestive when viewed in light of the warning of our Lord in Luke 17:26, ostensibly directing us to look more closely at Genesis 6. Just what (or who) are “mingling with the seed of men?” These would seem to refer to some beings who are not the seed of men themselves! Could this be a hint of a return to the mischief of Genesis 6? It staggers the mind to consider the potential significance of Daniel’s passage and its implications for the future global governance. Are these “aliens” so prolific that they constitute a political constituency? So where do we find it difficult to reconcile the character of Jesus with God’s Old Testament command to wipe out a concentrated effort of Satan to thwart the bringing in of the promised Messiah? The problems is that WE often do not have enough understanding. Pro 25:2 [It is] the glory of God to conceal a thing: but the honour of kings [is] to search out a matter. Thanks Jeremy for keeping us thinking, studying and searching! Those comments are from Chuck Missler? I like him. I’ve read his book on UFOs. Very…disturbing and intriguing. Ivy, do you think the UFOs are real? From where do they come? Who or what do you think the aliens might be? Do you think there is actually an “end-time scenario””? If yes, what part do you think the aliens might play in it? I’m asking serious questions, not just being stupid. I always found these topics intriguing. Yes, I think UFOs and “aliens” are real. No I don’t think that there are ET’s from other planets/solar systems. The Bible tells us about another species. They are called angels. It tells us about a third entity produced by cross-breeding of humans and fallen angels. And, yes I think there is an actual “end-time scenario” – not exactly sure how these creatures will play it out…but you can bet it will be through a deceitful representation of themselves as either some sort of “aliens here to help” or forcing the world to take a united stand against them – contributing to a volunteer world government. The world is being made ripe for either deception. Don’t worry if you don’t have a Kindle. I don’t either. Just load the free Kindle for PC software. One of the weaknesses of the “blogging” format is the result of the instant answer. New ideas, concepts, or arguments pop up and we deliver an immediate response based on our current set of values, beliefs, and ideologies. Blogging provides a “snapshot” view of everyone in that specific moment. New ideas may not necessitate hours of study and research. Oftentimes, staring into a fire and letting these things roll around in your brain awhile is what’s needed. My point? My point is that most of the resistance we run up against when evoking non-traditional ideas is that our audience is evaluating those ideas using real-time traditional values. Easy for me to dismiss Ivy’s correlations of scripture, speculation, and alien life forms. But shouldn’t I at least contemplate it awhile before I roll my eyes and flush it down the toilet? I’m simply suggesting that we carefully consider creative analysis before scrolling down to the comments box to leave our two cents worth based on an instantaneous opinion of a well-contemplated idea. Yes, this is the problem with blogging, you are right. It creates a constant stream of information, and we cannot dwell on any one post too long, because news posts are coming, and we can’t get left behind. There has got to be a way to format the blog structure so that the posts have more sustainability…. By the way, one of the best places for theological reflection and discussion is around a fire. I love that you mentioned this. To propose that the wholesale slaughter of other nations by the Israelites was a misunderstanding on their part and not indeed specific instruction from God is to bring wholesale scepticism on the reliability of Scripture as God’s reveal word to His creation. One could say the Apostles only wrote what they thought Jesus was teaching, but as common sense reveals to us humans if we are not doing good works we won’t make it into the kingdom.” Scary! Since most people believe this already even though they say it is a gift out of one side of their mouth, the other side says contrary. 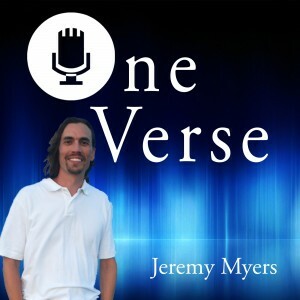 I can agree with Jeremy’s original statement, “I believe that God did lead human authors to write the words of Scripture, though not in a way that would override their unique thought pattern, vocabulary, or idiom.” This is quite obvious as one reads through the different writers of Scripture. But God is the author as Scripture attests, 2 Pe 1:20 Above all, you must understand that no prophecy of Scripture came about by the prophet’s own interpretation. 2 Tim 3:16 All Scripture is God-breathed and is useful for teaching, rebuking, correcting and training in righteousness. 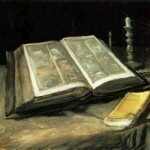 Neither Jesus nor the Apostles questioned the authority of God’s word. Now before you acuse me of circular reasoning, (The Bible is God’s word because it says it is God’s word) let me continue with more convincing evidence. The Scriptures were written by over 40 writers from various walks of life; from kings to lowly shepherd. There are 66 different books written over thousands of years time span and they all fit together perfectly cohesively. There is no way man was able to put this together. Now lets consider the incident some are struggling with, the wholesale slaughter of specific nations. Not only were the Israelites commanded by God through the prophets to utterly destroy them, they were rebuked by God when they did not follow through. There is much more to consider concerning these things and instead of repeating what ivy has said in a previous post, I will direct you to it for your thoughtful consideration. In the view I presented above, I think a distinction could be made between recording the words and works of Jesus, and recording what someone thought God told them to do. The words and works of Jesus were generally done in public with many others who saw and heard Him. So an author could not very well make stuff up. However, the accounts of God telling a person in the Old Testament to lead the Israelites to kill another group of people cannot be verified as they were often individual appearances, dreams, visions, or “feelings” to a single person, leader, priest, or king. Again, I don’t know that this is how this would be argued, because I don’t actually hold the view, nor do I know anyone who does. But that is my best guess of the direction the argument might take. It occurs to me that when we do any sort of critical analysis of biblical writings we always approach them as if we are dealing with a science text. You would never look at Shakespeare this way. You understand that “The Taming if the Shrew” isn’t a how-to of romantic relationships. However, there are examples of valuing one’s spouse to be gleaned. “Romeo and Juliet” isn’t celebrating secret love affairs and clandestine rendezvous…that’s just the setting. What RandJ is celebrating is a live so deep that you cannot and will not exist without it…hence, it is a noble tragedy. We tend to evaluate scripture as if it’s a cookbook. When we test an interpretation and find it lacking, we come up with a more palatable solution. I’m simply suggesting that most of us have very little experience with true literary criticism. That’s why the Word must be handles as te Living Word…able to transmogrify and MEAN several different things to several different people. Bonar, obviously it does mean different things to different people. 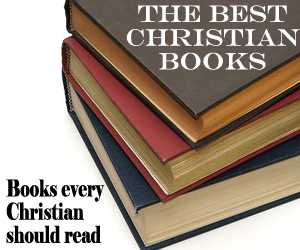 Pick a passage, then find a couple of dozen commentaries, printed or online, that discuss the passage. Usually we find a broad range of interpretations or understandings of the passage. Does that mean only one of those understandings is correct? Probably not. Knowing the original languages, keeping the passage in its context, knowing something about the writer and what that person was attempting to communicate to their original audience and why, and who the orignal audinece was (and their cultural context and time) and how they might/probably would have understood the message would be a good starting point. Even then, sincere people often do not understand a passage to mean the same thing. My point is that inerrancy is a non-starter. It’s a trapdoor which leads to the idea that it’s either all divinely inspired and accurate or it’s worthless. I don’t believe that’s true any more than I believe that my grocery store is useless because they sell strawberries even though I’m allergic to them. Do I believe that God directly ordered the genocide of entire people’s at the hands of the Isrealites? I don’t know and I don’t think that if I did know it would mean anything at all. My opinion is entirely useless in the matter. We’re delving into philosophics here that don’t have any real-time value. I think you are exactly right. I used to view the Bible as a mixed-up cookbook, and we had to find the right ingredients on various pages, put them in the right order, and figure out the directions, and if we did it just right, we might end up with a cake. I don’t read it that way anymore. I read it more like the first three acts of a four act Shakespearean play. We are the fourth act. The first three acts help us figure out how to “act” in this fourth act, but the first three acts don’t tell us exactly what to say or how to behave. They just just show us what has happened up until now and give us an idea of where the play is headed. Since there is no script, we must improvise the ending. (This view comes from NT Wright in his book, The Last Word ). We’re tracking along the same lines. I almost quoted NT Wright on that on my response on Graceground. 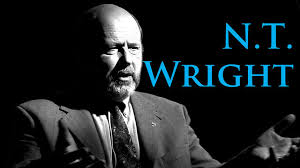 I like Wright! What if we looked at this from another angle? What if the Old Testament saints didn’t really know God? Does Jesus reveal this in the New Testament? What about John the Baptist’s view on the writers of the Old Testament? If you never really knew God to begin with, than by whose authority should you be speaking as if you do? DO YOU BELIEVE JESUS WHEN HE KEPT SAYING OVER AND OVER THAT PRIOR TO HIM, NO ONE REALLY KNEW GOD? If so, how does it affect your view on things written about God before the arrival of Jesus? In this part we are going to look at six verses that all say basically the same thing. The frightening thing to me is much of the church seems to be ignoring a very clear message from Jesus Himself. Before reading the following verses let’s do a mini review of what we learned in earlier parts. • The Old Testament saints were behind a veil and saw only types and shadows of what would be completely revealed in Jesus. Because of this they were in spiritual darkness and could not clearly see the true character of God. • The Old Testament saints were under the influence of Satan’s lie. Because of the serpents lie, mankind believed God was both good AND evil. • The Old Testament saints were confused as to the identity of Satan. They saw him as an angel of God, the death angel or simply an attribute of Gods nature. Wow! Have we overlooked the significance of this proclamation? The Greek word for “seen” in the above verse means; (to know by experience, to perceive or to be acquainted with). John the Baptist just dropped an atom bomb! He flat out told those that memorized the first five books of the Bible that they did NOT know God! For the first seventeen verses of Chapter One the apostle John gives us a history lesson, a mini Bible as he sees it. Then he finishes with a quote from John the Baptist, “No man has seen (to know by experience, to perceive or to be acquainted with) God”. John is telling us that up until this point in history no one really knew God. Jesus His Son had arrived to declare and reveal the Father’s true nature to mankind. Have we underestimated this clearly defined truth? When John the Baptist said NO ONE knew God, did he mean it? Was John inspired by God when he said it? When John said NO ONE had a clear picture of who God was, wouldn’t that include the Old Testament writers? If this were just one isolated verse we could possibly explain it away or symbolize it but the problem is it’s not an isolated verse, it is repeated over and over by Jesus himself. John 17:25 O righteous Father, the world hath not known thee: but I have known thee, and these have known that thou hast sent me. 26 And I have declared unto them thy name, and will declare it: that the love wherewith thou hast loved me may be in them, and I in them. Was Jesus actually saying that they didn’t know the scriptures? Most scholars agree and Jesus knew that this group of people did know the scriptures from mans point of view. But once again He was telling them they didn’t really see, they still believed the lie and thus remained behind a veil. John 6:46 Not that anyone has seen the Father, except He who is from God; He has seen the Father. Beloved, do the words of Jesus mean anything? How many verses do we need to open our eyes to the truth? What will it take before we agree with Jesus and simply say that NO ONE really knew God before Jesus showed up? Is it possible we have let the writers of the Old Testament trump what Jesus said? 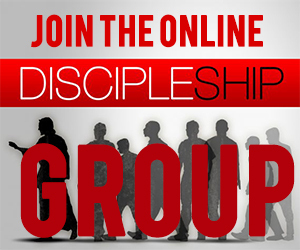 Have we as New Testament believers become like the Pharisees and Sadducees? Will we remain behind a veil that Christ Himself removed? Will we give as much weight to the Old Testament writers as we do to Jesus Himself? Over and over we are told no one really knew God, no one saw Gods true nature. Jesus was here to clear that up, the express image telling us that if we have seen Him we have seen the Father. Jesus was here to tell us He didn’t do or say anything He didn’t see the Father do. The Word, God in flesh was here to say; look at Me, I’m it. I am what you have been looking for in the scriptures. I am here in bodily form to show you exactly what I am like. All things written before, all things seen before are just shadows; you did not see me clearly. Here, I AM. You might ask, If this is all true where does it leave us with the Old Testament? 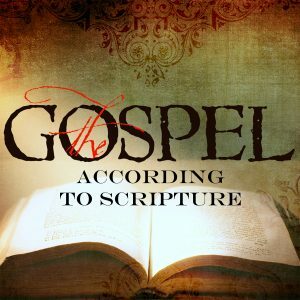 We have only one that can tell us how to interpret scripture, Jesus/the truth. In the next part we will see how Jesus treated the Old Testament. I will leave you with one final thought. If we read the Old Testament without the revelation of Jesus Christ we simply become one of those Jesus spoke about when He said no one knew Him. Great points, all. I really need to learn a lot more about all this, as looking at things differently from the way I was taught is challenging, difficult, and downright scary. You make some excellent points here…. I will try to find that article Tim C.
Don’t let an Old Testament verse trump a New Testament Truth. If Jesus didn’t do it, God didn’t either. I believe that the Bible is inerrant, but as Bobby points out Man can be quite errant in his interpretation of it. By inerrant I mean, as the word suggests, without error; such that if God were interested in directing an inerrant account of the life of Andrea Yates it simply could not say “the woman heard God say that she should drown her children in the bathtub” but would have to qualify it with “the woman believed that she heard…” Without that qualifier, it would not be inerrant, it would not be ‘untrue but historically accurate” if God did not actually say it then saying that he intervened in human history at that point would be incorrect. That being the case, I would say that one of the ‘benefits’ you list is perhaps it’s greatest detriment: we would not longer have to struggle with passages we find troubling or have to reconcile different descriptions we find conflicting. But if God is so completely beyond our understanding and His ways beyond ours, then these ‘conflicts’ would be due to our lack of understanding His nature completely, not actual contradictions in His nature and two very different descriptions actually be two different facets of the whole gem; the two different perspectives give us a more complete understanding of the true nature while either alone might be misleading. The ‘struggle’ isn’t just an unpleasant side effect, but the kind of meat we have to chew when we’re done living off of milk if we want to grow. The conflicts don’t even always fall into OT/NT divisions, Jesus did occasionally present some different aspects of Himself that we found hard to swallow (Mark 7:27 is the first thing that springs to mind) and Randy Alcorn’s discussion of “The Grace and Truth Paradox” is a great discussion of exactly how we as humans can struggle with a God who is far beyond us. Of course, holding to inerrancy presents not just the difficulty of reconciling truths in the Bible but also of properly discerning what is and isn’t inerrant and how we know the difference, as B Crump points out. This means more opportunities where we might be mistaken, but we cannot forgo the truth because an alternative is easier to deal with. Great points, and good summary of the discussion. I am still struggling with the issues surrounding inerrancy. You are absolutely right that we must distinguish between the inerrancy of Scripture and our interpretation/understanding of Scripture. I think this is a distinction which many churches/pastors/theologians miss. Every time we hear someone say “I just follow the Bible” I think we can safely assume they are missing this crucial distinction. Yeah, I know what you mean hearing those types of statements. Sometimes that person can up the condescending factor a bit and refer to their group as “Bible believing Christians” or something similar, no longer do they ‘just follow the Bible’ while you messed up by believing in an outside source, but you actually directly dis-believe the Bible.